The Clarke DH10 has a 10 litre per day water removal capacity and is suited to moisture removal that causes damp in smaller premises. Features include a tank full indicator when the water tank requires emptying and easily removable filter that can be easily cleaned when required. 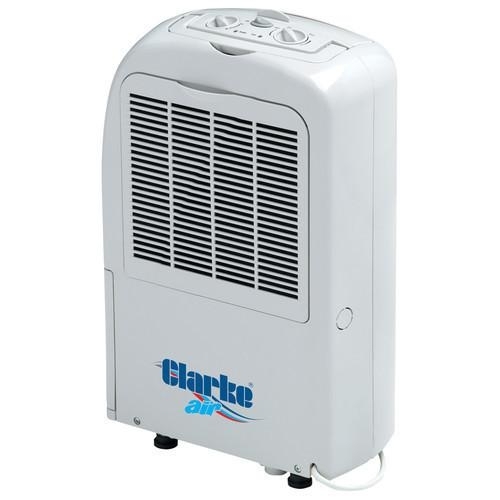 The dehumidifier is easily controlled via the adjustable dials at the top of the machine which alter the fan speed and the humidity that the dehumidifier controls at.